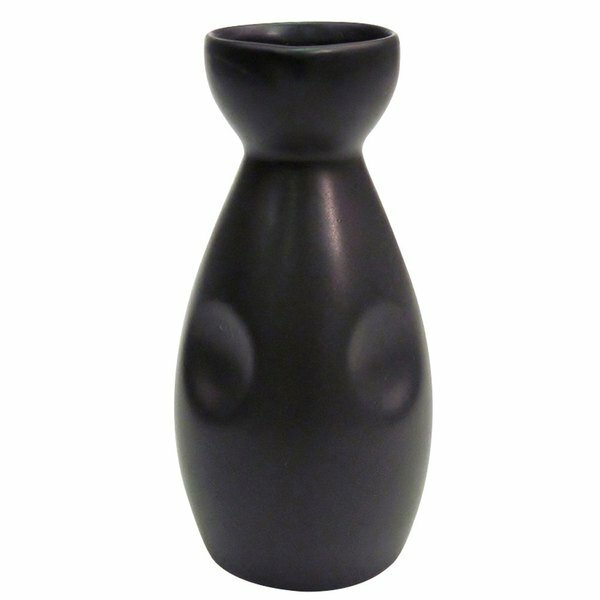 Simply pour your rice wine from the original bottle into this CAC 666-WP-BK non-glare glaze black Japanese style 6 oz. sake bottle, and wait for the aroma and taste to mature. It features a small, bowl-shaped opening, followed by a flared body that tapers at the bottom. This CAC 666-WP-BK Japanese style 6 oz. sake bottle has finger indents for easier grasping and pouring.